This is the first blog post of our new Testing Tuesday series. Every Tuesday we will share our insights and opinions on the software testing space. Drop by every Tuesday to learn more! At Codeship we are huge fans of Behavior-Driven Development (BDD). In the next few blog posts we will show you how our development process with BDD works and give you examples on how to get started. Behavior-driven development is a collection of tools and methodologies based on test-driven development. We will therefore cover the basics of test-driven development in this post. Write the test and watch it fail. Implement the easiest solution to make the test pass. Refactor your code if necessary. Once you are done, write another test until the feature is complete. I have written the following example in Ruby using the testing framework Rspec. I will keep it simple, hoping that it won’t be too hard for non-Rubyists to follow along. Let’s say our example app needs users. We want to initialize a user with a name, and make sure that we can retrieve the name afterwards. We need to implement a constructor that accepts the user name as argument. user.name.should == "Sarah" expected: "Sarah" got: "Paul"
Beautiful! We’re done! But wouldn’t it have been much faster if we just implemented the user class without tests? It’s trivial anyway! Most apps start out as trivial and clean but end up as a dung pile only a few weeks later. Once you have reached this point you’ll realize that you are trapped. You can hardly clean up the code because there’s no way of making sure that everything still works like before. The only possibility is to test everything manually after each little refactoring. Do you really think that’s faster? You’ll probably spend days and weeks on it. Test-driven development keeps you agile. You will be slower at first but you avoid being stuck in the most critical situation: Imagine you’ve built this awesome new app in record time and you are getting your first customers. Congratulations! You start implementing this new feature your customers have asked for but suddenly your customers report that they can’t make payments anymore. As you try to fix this bug, you receive messages from angry customers telling you that the login is broken. You’re stuck. Instead of moving forward you’re working 24/7 trying to reconstruct the basic functionalities of your app. Test-driven development makes you sleep safe. You can be sure that everything you implemented still works. You can develop at a constant speed even years later when your app has grown massively and you have forgotten all these little implementation details. Your tests remember them and make sure they still work. Think of your tests as your little friends that watch over your app so you don’t have to. Over time you will gather an impressive test suite that covers all features of your application. The only problem is: The more tests you write, the longer they take to run. If you run all the tests several times a day this will slow you down more and more. A good solution is to run only the tests that correspond to your current feature and let the whole test suite run on a Continuous Integration system like Codeship. This way you stay fast while still ensuring that your entire app keeps working. 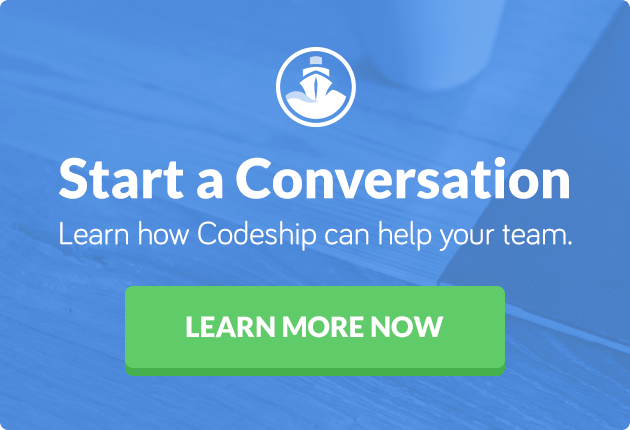 Codeship also offers Continuous Deployment. This way every new feature is deployed automatically if all your tests pass. You just need to take care of developing software anymore. Even though test-driven development seems to be additional effort at first, it yields many benefits in the long term. Among them are agility, speed, and safety. 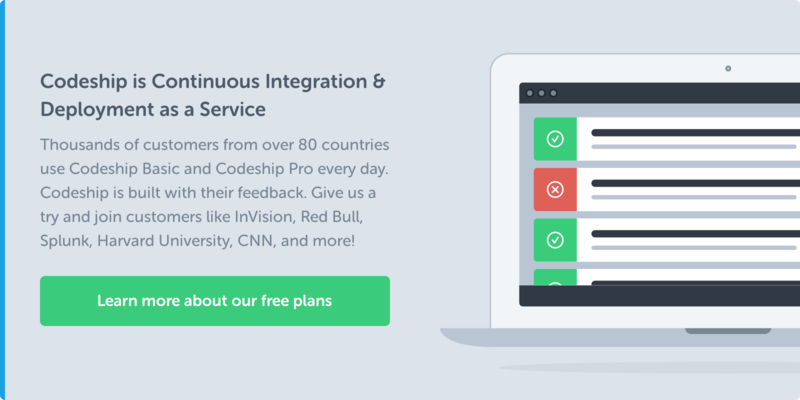 The combination with Continuous Integration and Deployment results in a solid software development process proven by many modern software projects. At Codeship we live by this process and we do our best to inspire others.